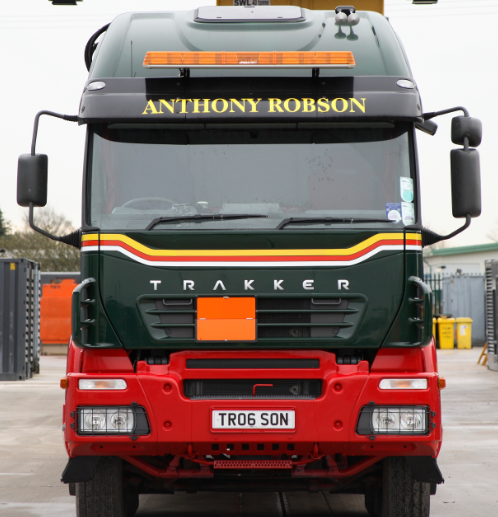 Anthony Robson Transport is a specialist transport company based in Doncaster. Established in 1973 we have experience in the movement of abnormal loads, civil engineering plant, rail works and generators. We have been a proud member of FORS since 2011 .Through the introduction of FORS, its training and the installed safety equipment we have seen a decrease in vehicle accidents. We were encouraged by one of customers to look into the FORS standard and whilst we felt we were a safe and efficient haulier it was clear that with the guidance of the FORS standard we could become so much more. By teaming up with FORS we firmly believe we have had a positive impact on not only our company but also the transport industry. Although we passed our initial bronze audit first time it was clear there were aspects where we could make improvements and this spurred us on to not only meet the Bronze requirements but to surpass them. We took a more proactive approach to industry related safety news as well as training and equipment that would make us a safer company for our employees, customers and the public. Following our Bronze accreditation we soon enrolled our drivers into the eLearning programme. Having a variety of training sessions available when we wanted them was beneficial to the company and helped us improve our drivers knowledge and awareness. Following on from the safety procedures and policies in place we retro fitted all vehicles with four ways camera systems to complement the side proximity sensors and audible turning alarms already fitted to our fleet. These new safety features have had a positive impact on our accident rate which benefits the company as insurance premiums are reduced but more importantly gives us piece of mind that our drivers are equipped with the best safety equipment possible allowing us a safer journey. We had been Bronze for a couple of years and realised we were already meeting the Silver standard through our proactive safety strategy and therefore acquired Silver accreditation in 2016. 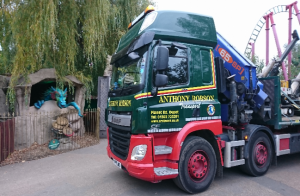 At Anthony Robsons we not only strive to be the best we can be but also aim to help raise the industry standards and for that reason we have chosen to go for gold and promote the FORS standard. Using the FORS standard and benefits we have been able to reduce our impact on the environment and continually improve our road safety. At Anthony Robsons the wellbeing of our drivers is of the upmost importance which is why we are introducing annual medical checks for all driving staff along with random drug and Alcohol tests. Drivers also make a daily declaration that they are fit and well to drive. We are always on the lookout for keen and enthusiastic young people to join our company. It can be an expensive industry to break into which is why we offer extensive training on enrolment with the company and a continued professional development strategy to help attract more young people to the industry. Although we are based in a heavily industrial area we take the noise generated by our operations seriously. Improvements and renewals made to not only the fleet but support and servicing machinery help us to continually improve our noise pollution. As the main stay of our business is emergency power using various mode of transport is not time efficient to ensure power is restored to business or residential areas in a reasonable and safe timeframe. Currently there are no alternative fuel vehicles to give us the range, weight or equipment usage we currently require but as technology advances we hope that one day there will be a safe and reliable alternative mode of vehicle power for us to explore. Going forward we will continue to update our fleet ensuring that not only are all vehicles Euro VI but that they are also fitted with Kerb-View windows to help our drivers navigate pedestrianised areas safely. We are also looking into an new initiative which will see our trucks and operations staff going into schools to introduce the industry and road safety. Meeting the Gold standard shows our staff, customers and the transport industry that we are dedicated to safe and efficient road haulage. Our goal is to maintain the Gold standard for many years to come whilst striving for further improvement with the guidance of FORS, CLOCS etc. Connect Scaffolding Ltd – Gold: Safer, easier, quicker … Better Connected! Bruton Haulage LTD – Going for Gold!